The perfect blend to draw in deer to that small area in the woods or small fields. Consists of cereal grains, clovers, brassica, radishes, and a winter pea. Minimal tillage with a pH booster. 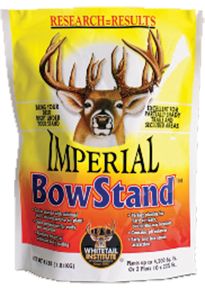 Bow Stand is a Fall annual.